2017 celebrates the 105th year since First Nations of Treaty 7 have camped at the Calgary Stampede. 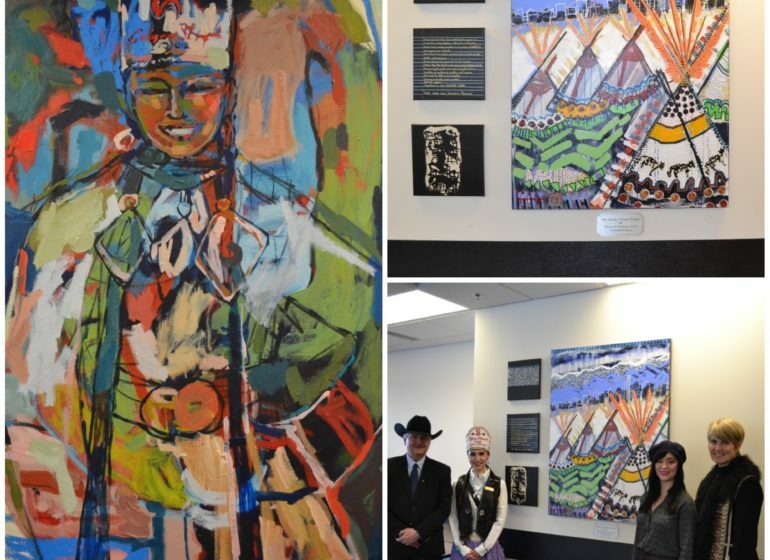 This important relationship was an instrumental part of First Nations history as Guy Weadick, founder of the Stampede, partnered with First Nations people, such as Ben Calf Robe who held a major role in this process, to create the first Indian Village as a safe place to practice First Nations culture. 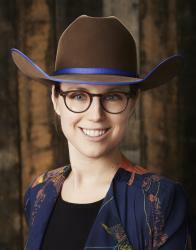 “The reason I know so much about my family’s history and culture today is because the Stampede allowed, and encouraged, my ancestors to practice their traditions on Stampede Park in an era where it was discouraged elsewhere,” explains Cindy Provost, Calgary Stampede board of directors. In 1912, First Nations peoples were not allowed to celebrate their cultures on their own reserves because of Indian Act laws and regulations. The Stampede was one of the only places where First Nations peoples were welcomed to participate and celebrate their traditions publicly. 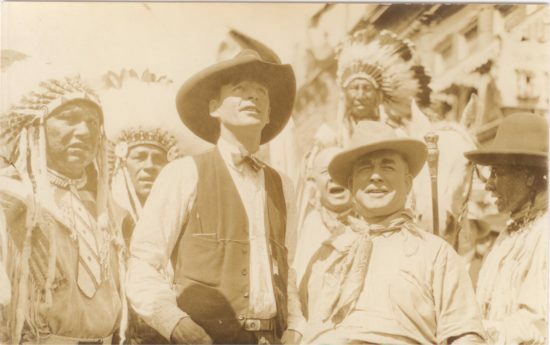 As a result, the families who participated in Indian Village throughout the 20th century looked forward to coming to the Calgary Stampede annually. 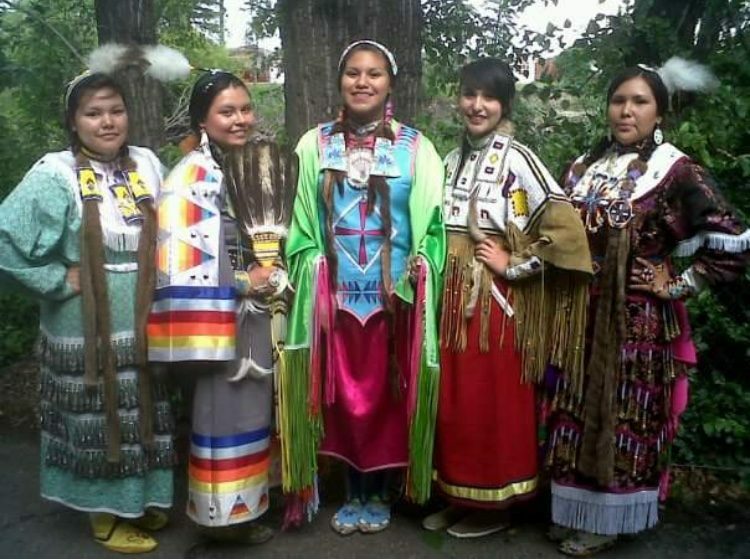 They used this time to teach younger generations about their traditions to make sure their cultures lived on. It was only because of the special agreement that Guy Weadick and the Calgary Stampede made with the government that passes were given for First Nations participants to leave the reserve and attend the Stampede without fear of legal consequences. Indian Village is organized through efforts of volunteers on the Indian Events committee, Stampede employees and the tipi families who camp at the Village during the Stampede. There is constant consultation about the name of the Village and if it should be changed. 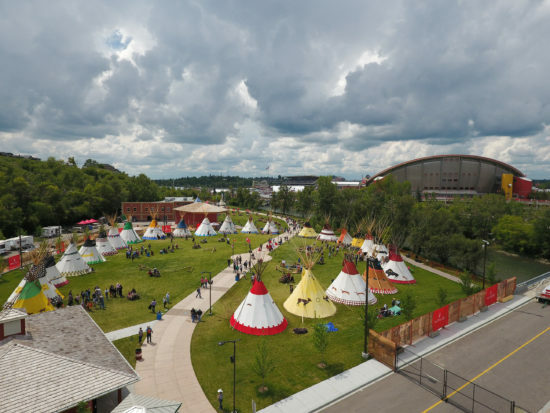 The tipi owners have indicated that Indian Village is a place and a name with great historical significance and honours the role of Guy Weadick and the relationship with the Stampede throughout the twentieth century. 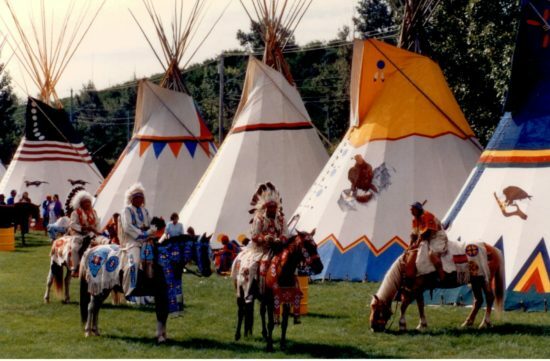 There has been, and will continue to be, constant dialogue with the tipi owners and the Calgary Stampede regarding all facets of the Indian Village and if the name should change, the undertaking would come from these conversations. Indian Village is open daily from Thursday, July 6 (Sneak-a-Peek) to Sunday, July 16. 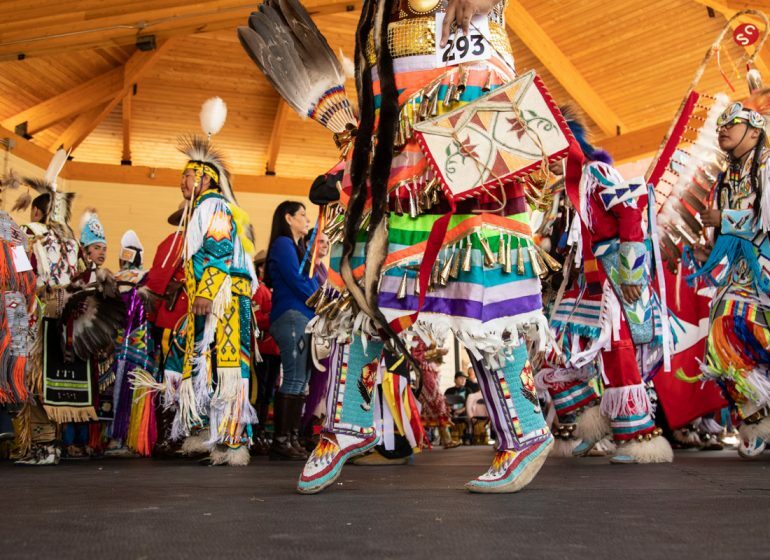 Guests are encouraged to attend the Opening Ceremonies on Friday, July 7 at 4 p.m., the Arts & Crafts and Bannock Booth, open daily, the Pow Wows from Wednesday until Saturday, and the Closing Ceremonies on Sunday, July 16 at 6 p.m.
For more information, visit calgarystampede.com/indianvillage. The Calgary Stampede Community Projects & Development committee lays out the welcome mat for newcomers to Calgary with a western clothing drive! Indian Village from the perspective of an Indian Princess! The Calgary Stampede is a not-for-profit community organization that preserves and celebrates our western heritage, cultures and community spirit.